This is the American cemetery at Colleville Sur Mer. 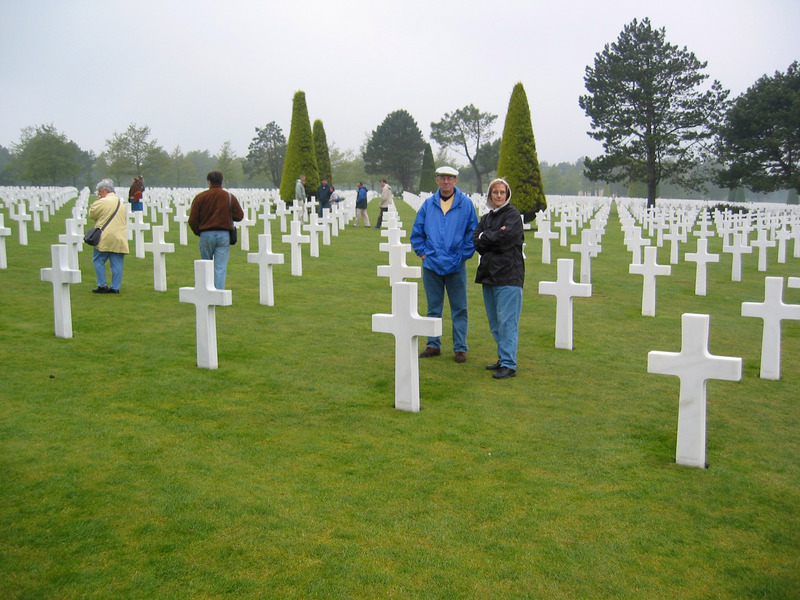 We took this on our tour of Normandy in 2005. That’s my sister Margaret and her husband Sonny in the middle of the picture. The principal reason for this trip was to visit the Normandy monuments of D-Day.